When it was announced that a movie would be made based on the long-haired Troll dolls, it seemed like just the latest crass attempt to cash in on people’s nostalgia and sell more merchandise. How could they possibly put together a halfway entertaining movie about a toy that has almost no history as anything other than a kitschy plaything? Turns out that the Trolls’ lack of preexisting storyline was a boon for the minds behind Trolls, as they could put in whatever they wanted and not be tied to anything else. 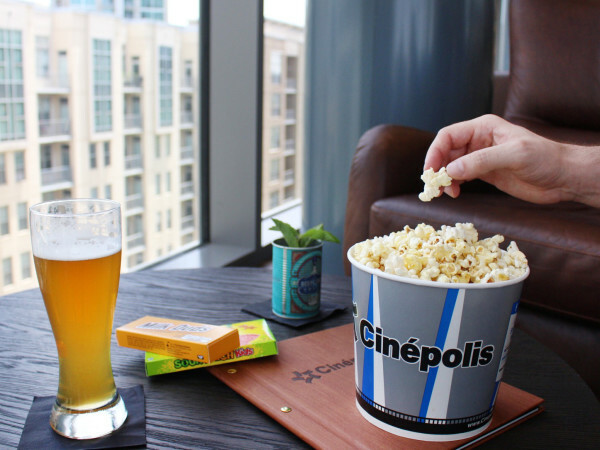 What directors Mike Mitchell and Walt Dohrn and writers Jonathan Aibel and Glenn Berger, with a huge assist from composer Christopher Beck, have done is create a joyously simple animated movie that’s irresistibly fun. 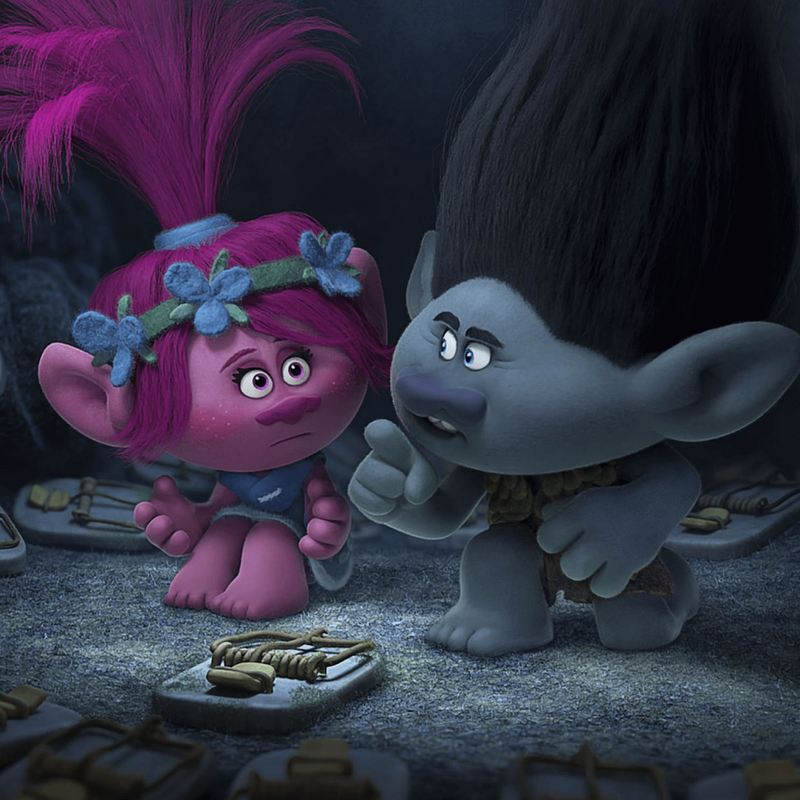 The trolls, led by King Peppy (Jeffrey Tambor) and Poppy (Anna Kendrick), live in a world where they’re constantly hunted by creatures called Bergens, who think eating trolls is the only way to be happy. 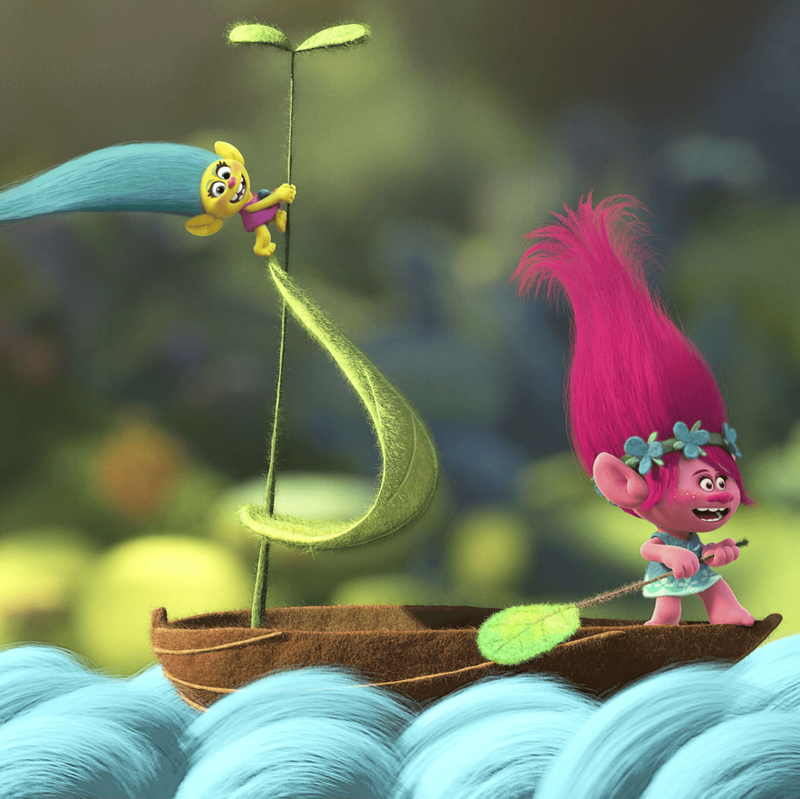 And no wonder, because the trolls make it their purpose in life to hug, dance, and sing as much as possible. 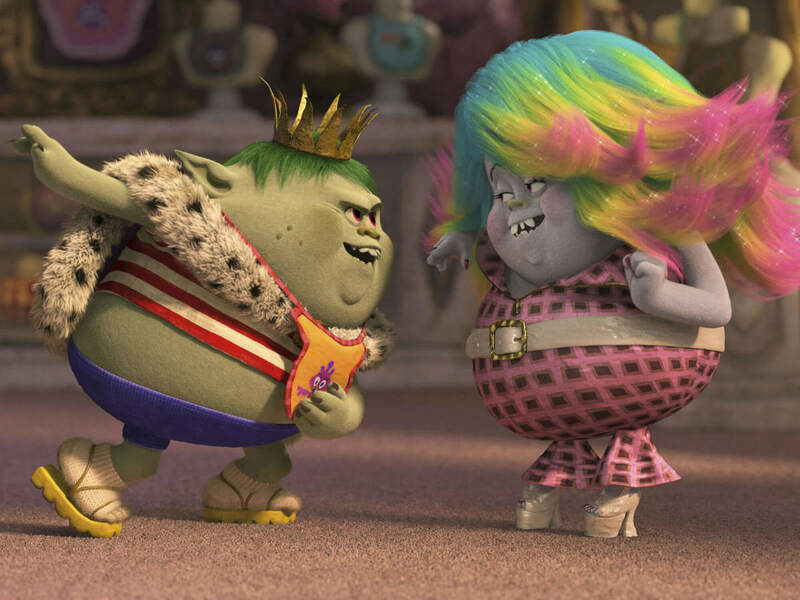 Hidden away for many years, the trolls are discovered by the kingdom’s chef (Christine Baranski), who kidnaps a handful of them to take back to Prince Gristle (Christopher Mintz-Plasse). 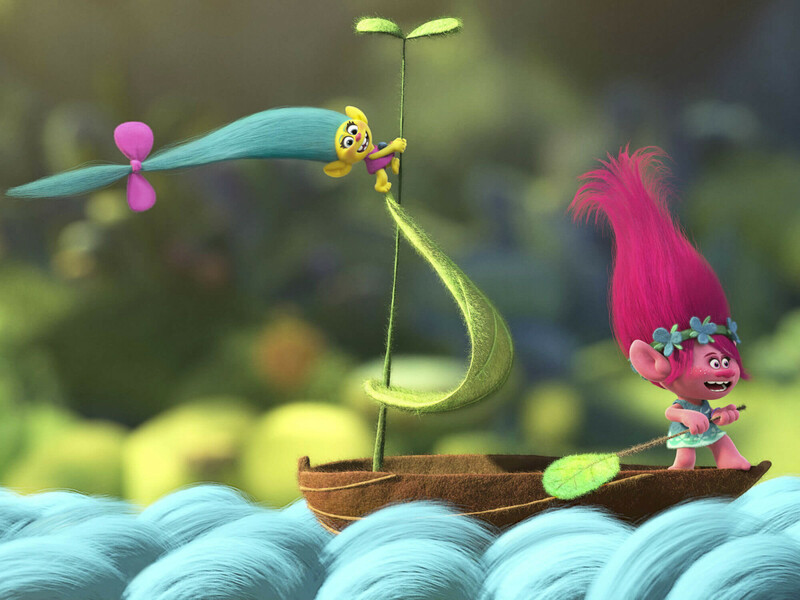 The irrepressibly happy Poppy sets out on a rescue mission, recruiting Branch (Justin Timberlake), the only troll who refuses to hug, dance, or sing, to help her out. From the minute the film starts, it’s impossible not to smile. The trolls are almost always upbeat, yet never annoyingly so. But the biggest reason they bring joy is because of the songs they sing. Unlike other lesser films that throw random pop songs in as background music to try to distract audiences, the filmmakers actually put real thought into how each song would be used in this film. Original songs like “Hair Up” and “Get Back Up Again” set the tone, allowing covers of songs like Simon & Garfunkel’s “The Sound of Silence,” Lionel Richie’s “Hello,” and Earth, Wind & Fire’s “September” to feel completely natural when they appear. A heartbreaking rendition of Cyndi Lauper’s “True Colors” and Timberlake’s inescapable “Can’t Stop the Feeling” put the exclamation mark on the film’s third act. Having actual talented singers like Kendrick, Timberlake, Zooey Deschanel, and Gwen Stefani in the cast also helps the film to succeed. The audience being able to recognize the cast’s speaking voices is relatively unimportant, but when it comes time to belt out a song, there’s no mistaking the flair and energy they bring to their performances. 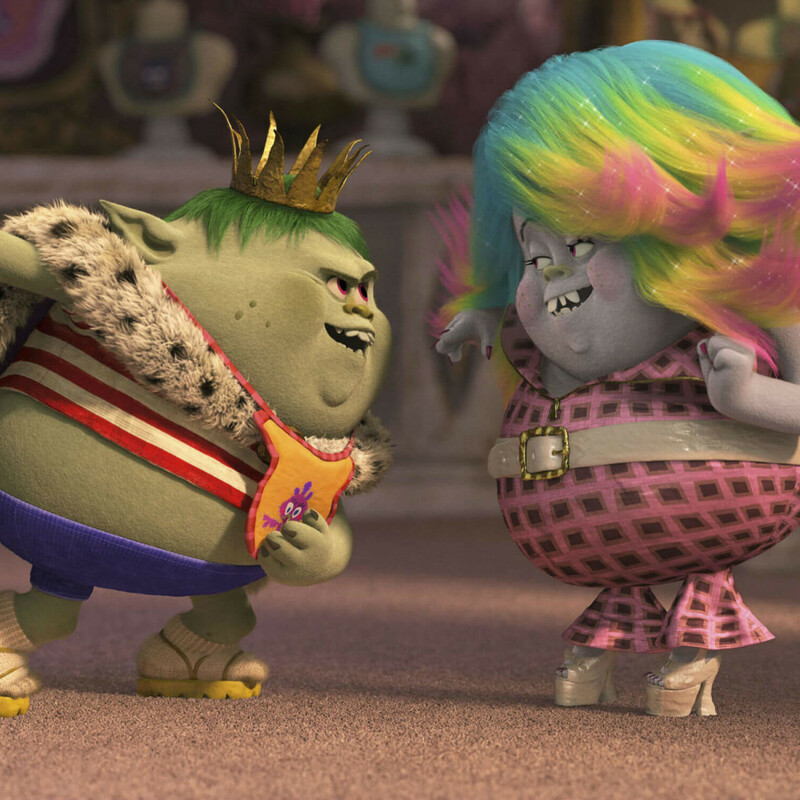 You may not remember the specifics of Trolls even a week after you see it, but as a one-time movie experience, it is an absolute blast to watch.